THE HAGUE – (AFP) – A Dutch court will decide on Wednesday whether Shell should clean up oil damage that destroyed a group of Nigerian farmers’ land, a case that could set a precedent for global environmental responsibility. Dutch judge Henk Wien will hand down a verdict at around 10:00 am (0900 GMT) at a public hearing before The Hague district court in a case that was first filed in 2008. Thousands of miles (kilometres) from their homes in the Niger delta, four Nigerian farmers and fishermen have dragged the Anglo-Dutch oil giant into court in a civil suit that could open the door for hundreds of similar cases. The plaintiffs are backed by environmental lobby group Friends of the Earth. It is the first time a Dutch company is being sued in the Netherlands over damage in another country, in this case oil pollution in 2005. The farmers want Royal Dutch Shell to clean up the mess, repair and maintain defective pipelines to prevent further damage, and pay out compensation. Oil pollution has ravaged large swathes of the Niger Delta, situated in the southeast of the world’s eighth-largest oil producer, which exports nearly two million barrels a day. Shell, the biggest producer in the west African nation where it has been drilling for the last half-a-century, denied responsibility. 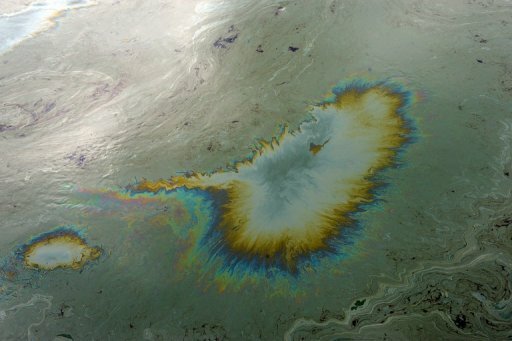 The company pinned oil spills between 2004 and 2007 on illegal theft and sabotage. Friends of the Earth however said the scale of Nigeria’s oil pollution was twice that of the five million barrels dumped in the Gulf of Mexico after the explosion on BP’s Deepwater Horizon rig in 2010, the biggest ever marine spill. Shell disputes the Nigerian figure and puts it much lower. The UN’s environmental agency in 2011 released a landmark report, saying decades of oil pollution in the Niger Delta’s Ogoniland region may require the world’s biggest ever clean-up and could take up to 30 years. Environmental groups accuse Shell of double standards and treating spills in Nigeria differently from pollution in Europe or North America, a claim Shell strongly denies. Legal experts said that should the farmers win, the case would set a precedent as it would be an important step towards holding multinationals answerable for damage done in developing countries.